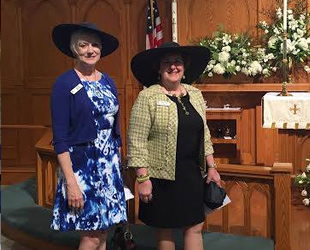 St. Philip's Episcopal Church - Southport, NC: Welcome Visitors! We are located at 205 East Moore Street in Southport. Our telephone number is 910-457-5643. 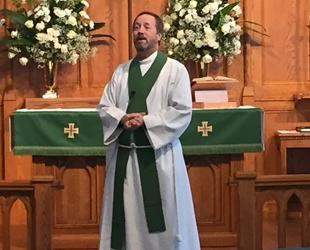 There are two services at St. Philip's in Southport each Sunday (8:00 am and 10:30 am). During the summer months we host an informal Rite II service at 9:00 am in Register Park on Oak Island. When our campus is back to normal, Nursery is provided each Sunday from 10:00 AM-Noon. For our current service schedule click here. We also offer a mid week service each Wednesday at 12:00 PM in the Chapel of the Cross. A wonderful way to get a "pick me up" during the week. Currently, due to hurricane damage, all Wednesday services are held in our Parish Hall, located behind the Chapel of the Cross. Immediately following the service, you are invited to take time for a "coffee moment." See and greet old and new friends. All baptized Christians are welcome at the Lord's Table. Come forward to the Altar Rail as the Ushers direct you and take the next available place. You may kneel or stand, though the custom for most of our parishioners is to kneel. Receive the communion bread from the Priest in your open right palm. You may then take the bread to your mouth, or, if you wish to receive by intinction (dipping), place the communion bread between the thumb and index finger of your right hand and hold the bread over your open left palm. This signals the Chalice Bearer to allow you to intinct the wafer into the wine in the intinction insert in the chalice. You may also choose to receive the wine directly from the chalice by gently guiding it to your lips as the Chalice Bearer presents it to you. If you choose not to receive the wine, simply cross your arms across your chest after you have received the wafer. The Church has long held that the Sacrament is effectual even when only one of the elements is received. Please return to your pew as soon as the next person has received the wine. If it is physically difficult for you to come to the Altar Rail, please indicate this to an Usher and a Priest will bring Communion to you where you are seated. If you are wearing lipstick, please blot your lips well before you receive the chalice, or you may receive by intinction. The process of becoming a member of St. Philip's begins by filling out a Visitor Card (found in the pew rack). Place the card in the offering plate, and we will be in touch with you in the next few days to let you know more about our Parish family. You can also contact the office directly for mor information at 910-457-5643. We would be delighted to have you!!! For more information about our Adult Confirmation Class, contact the Parish Office at 910-457-5643. Adult Study: Each Sunday (except the 1st Sunday) adult Christian Education classes are held in the Sanctuary at 9:00 AM. These session are led by Canon James Hanisian or Rev'd TJ Tetzlaff. There is an opportunity for questions from parishioners. Bishop’s Visitation: This usually occurs once a year, at which time the Bishop will lead our worship and also administer one or more of the following: Confirmation, Reception from another communion, or the reaffirmation of the vows made at the Baptism. 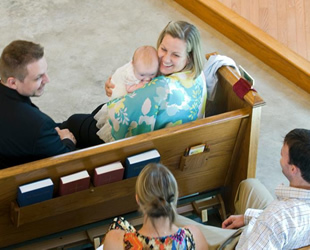 Entering into Membership: At your request, we will contact your former congregation for a Letter of Transfer. Newsletter: Each week announcements are included in the weekly Sunday Bulletin. 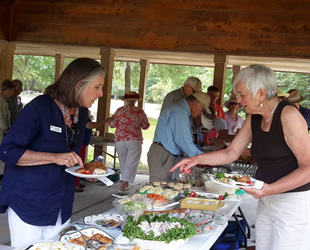 The St. Philip's E-News is a weekly electronic communication sent to members who request it. If you would like to be added to the E-News list, please contact the church office.